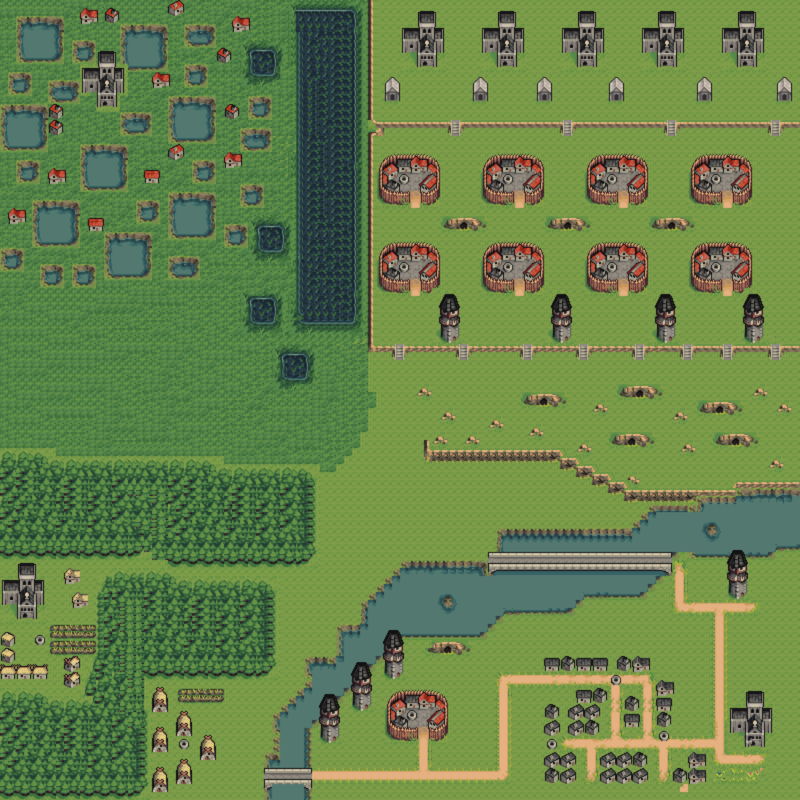 A level design created in Tiled using a grasslands tile set. Sort of a map/level, divided into 4 sections, mossy, forests, ledges, and roads. Houses, towers, castles, and villages all have a partial medieval style.